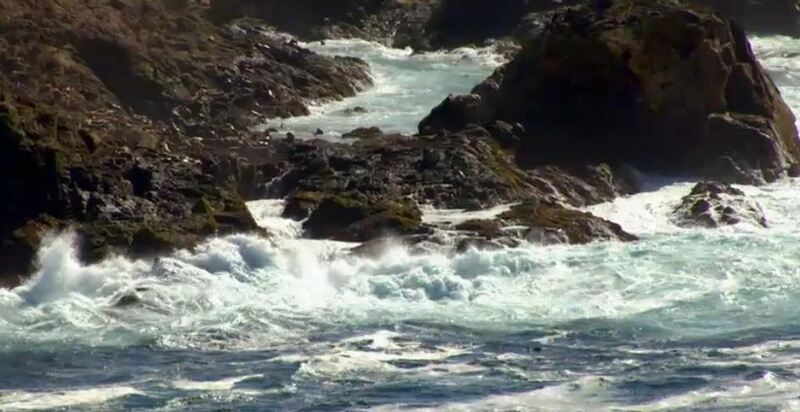 The idea of a mass message isn’t exactly new, but Discovery Channel’s Shark Week is taking a different approach to things by using a service called Thunderclap. The idea is that people will sign up to spread the word about Shark Week and, if a certain number of shares are scheduled, the message will be sent out flash-mob style. The goal is to raise awareness for conservation efforts put forth by The Discovery Channel, Oceana, PEW Charitable Trusts and Shark Savers. It’s an interesting approach for a couple of reasons. First off we’re happy to see (and help) any social campaign that works toward great causes. Second, in showing a count of how many have signed up nobody has to worry about “being the only one”. Finally this is the first time that a major brand has partnered with Thunderclap so it’s an important milestone for the service. Of course the fully opt-in nature of Thunderclap is comforting, but it’s just a portion of the social push for the cult-status Shark Week program. There’s a full-on barrage of tools, such as the Facebook page, a Twitter profile and of course games, pictures, live cameras and videos. Ready to get yourself involved? 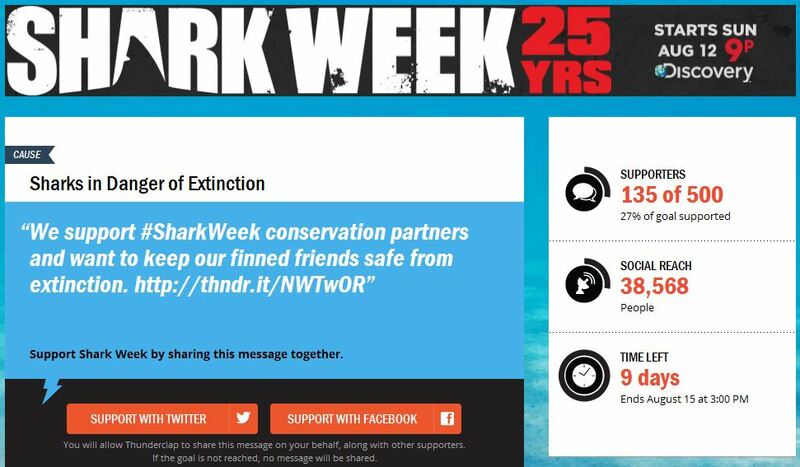 Head over to the Shark Week Thunderclap page and you can choose to broadcast your message via your Facebook or Twitter accounts. The site just opened early today, but will already reach over 38,000 people. Expect to see that number in the millions very soon. It’s the 25th year of Shark Week, and programming starts Sunday, August 12th.